Mosques fail to offer enough space for worshippers at regular Friday prayers for Muslims in two prominent cities of the Uyghur Autonomous Region of China: Urumchi and Kashgar. People have to take to the streets and squares without bothering others. The Idkha Mosque in downtown Kashgar is the largest mosque in the region. More than 30,000 people join the Eid prayers performed in the square that also hosts the mosque. The Idkha Mosque was built in 1442 and was enlarged three times. Around 700 people can perform prayers in the closed area of the mosque. There are 28,000 clerics (24,000 appointed to mosques) officially assigned to the Uyghur Autonomous Region. There are schools teaching lessons on the Quran in the local towns that offer courses lasting two to three months. Graduates of elementary and high schools are admitted to these schools. China has nine years of compulsory education during which no religious courses are offered. There are 10 Quran courses in China. The Xinjiang Quran School is the only officially recognized school for teaching the Quran in Xinjiang Uyghur region in China. It is also the only school that teaches the Quran in the Uyghur language in China. The hadiths are recited in Arabic but the explanations are in Uyghur. Students study for five years in the school to receive their qualifications and Muslim graduates who are appointed to serve the people are given a monthly allowance. There are 10 different ethnic Muslim groups in Xinjiang and those other than the Kazakhs, Kyrgyz and Huis are able to communicate with each other. The graduates of the school teach the Quran to the public and some work as members of the local popular congress. The Chinese Religious Affairs Directorate and the Chinese Islamic Affairs Department regulate the appointment of students abroad. Of these, 37 students continued their education in Egypt. The Huis have nine other Quran schools in other parts of China. The Huis teach in the Chinese language. The construction of the Xinjiang Quran School started in 1983 and the school was completed in 1987. It receives financial aid from the state and the Chinese government gave 250 million yuan in 2012 to construct a huge new school that now hosts 300 students and 70 teachers. They train clerics in eight undergraduate and three pre-undergraduate programs. Mainly religious and cultural courses are offered, with cultural courses constituting 3 percent of the curriculum. The cultural classes include ethnic and religious policies. Uyghur literature, Arab language and literature, and history are also being taught. Seventy percent of the courses are focused on religious studies, which include studying the Quran, recital, tawjeed (rules of recitation), methodology, Islamic jurisprudence, Islamic theology and culture, the life of the Prophet Muhammad and Arabic grammar. Male high school graduates aged between 18 and 22 are admitted to the school in a two-stage exam. The Xinjiang Quran School is a religious school that trains clerics. They do not admit female students. There are three different types of religious education: clerical school, Quran courses and Quran schools. Women are allowed to receive religious training from their fathers or husbands at home. The school offers help every year for those who would like to perform the pilgrimage in Mecca. The pilgrims have to meet several conditions, including having sufficient financial resources, being healthy and able to travel. Every year, nearly 14,000 people in China travel to Mecca for the pilgrimage. Of these, about 3,500 sign up for the pilgrimage in Xinjiang. Turkish Religious Affairs Directorate President Mehmet Görmez has paid a visit to Xinjiang twice. He was appointed president after he returned from Urumchi. For this reason, it is argued that Urumchi brings good luck. Try your best to be in the state of Wudu, when reciting from the Quran, and sit in a clean place. Begin reading with a clear intention of seeking only Allah (swt)’s pleasure, not any other worldly gain. Turn the pages gently and slowly to the required page. It is best, if you use a bookmark at the place you finished last, so that there is no unnecessary flipping of pages. Maintain humility, tranquility, and respect, while reading the Quran. 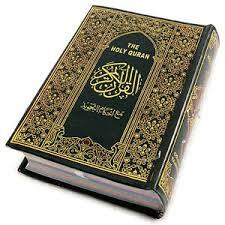 Read the Quran in a moderate voice. Read the verses with short pauses in between. Be careful about the Makharij (pronunciation of the letters). Give every letter its due right. Read the Quran attentively, calmly, and sincerely. Ponder over the words of the Quran and make efforts to act upon them. Be grateful, when the verses of Shukr (being grateful) are mentioned and seek refuge with Allah (swt), when asked. Listen quietly and attentively, when the Quran is being read. 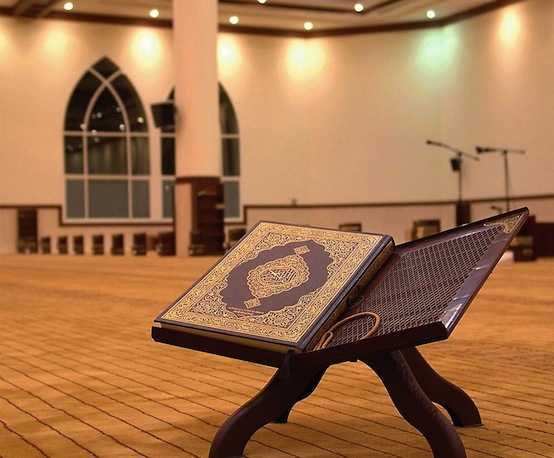 Do not put the Quran on the floor or near a person’s feet. Do not leave the Quran open, when not being used, or turn it face down on the table. 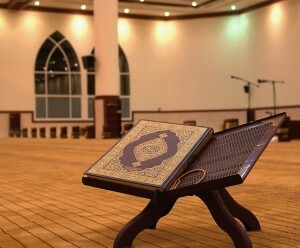 Do not step over the Quran, if it is lying on the ground or at a low level, such as a prayer mat. Do not use the Quran as a support to write on. Do not place things on the top of the Quran. Do not scribble unnecessary things on the pages of your Quran. Do not touch the Quran with dirty hands. Make sure you keep the Quran out of the reach of children that may tear its pages. Do not eat, while reading from the Quran. Sit in a proper, respectable position when reading it. Try not to talk in between, while reciting from the Quran. Keep the Quran in a clean place. Learn as much as you can about the Quran by reading an authentic translation in the language of your preference. Keep the Quran within your reach and in sight. Let no day pass, without reading or reciting from the Quran. Part of what is believed to be the world’s oldest Quran has been discovered in a somewhat unlikely place…Birmingham. 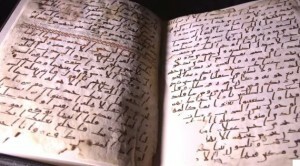 The manuscript found at the University of Birmingham among other Middle Eastern books and documents was found by a PhD researcher, who suggested further tests. When radiocarbon dating was used on the text, written on either sheep or goat skin, it was found to be at least 1,370 years old, making it the oldest recorded script. It was found that the probability of the text coming from between 568 and 645 was higher than 95%. This could actually date it during the life of the Prophet Muhammad, who is generally thought to have lived between AD 570 and 632, according to the university. “The person who actually wrote it could well have known the Prophet Muhammad PBUH. He would have seen him probably, he would maybe have heard him preach. Technology is rapidly becoming a valuable tool for Islamic observance and many Muslim faithful have increasingly been turning to smartphone apps to help them fulfill religious obligations. With the holy Islamic month of Ramadan approaching, the utility of such apps in supporting the spiritual and practical elements of the 30-day fast make them an especially useful option for some. An all-in-one Ramadan toolkit, this popular app not only features a calendar for the holy month, including prayer times, but also the ability to modify prayer times based on different locations for convenience during travel. The Android app also has a feature that sends a reminder about charitable giving, also known as Zakat al-Fitr, an obligation for Muslims during Ramadan. Muslims are obligated to pray five times a day, at pre-set intervals with times that change according to the season. One of the most popular prayer time calculator apps, the Islamic Finder app allows users to track daily prayer times, log their prayers in a personalized prayer book and even offers directions to nearby mosques. The app also has a prayer call alarm feature (with the option of switching to vibrate mode) that can help alert users to the sunset and sunrise which mark the start and end of fasting, respectively. Knowing when to pray is one crucial aspect of Islamic prayer. The other is knowing in which direction to pray. Apps like Qibla Compass are dedicated to helping Muslims figure out the direction of Mecca, which Muslims around the world face as they pray. While some can usually calculate the direction by using the compass feature on their smartphones, this app does the calculation automatically based on a user’s location. The app also comes with accessibility support for people with visual impairments. Ramadan has traditionally been a time of spiritual reflection for Muslims, who give up food and drink during the sunlight hours and avoid vices like gossiping throughout the month. In addition to striving for spiritual purity, the sense of deprivation fostered through fasting is also meant to inspire charitability. This is why many Muslims use the month as an opportunity for charitable giving and volunteer work. The Ramadan Kareem app by the Muslim Giving Project, is designed to facilitate this important obligation by connecting Muslims to civic organizations and projects that they can donate to or get involved with as a volunteer. The app also provides daily charity inspirations throughout the holy month. 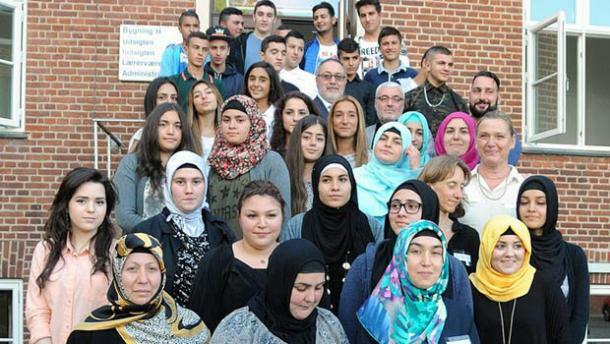 CALIFORNIA – Making history for Islamic education in the US, a Muslim college has received formal academic accreditation last weekend, becoming the first officially recognized Islamic institution of higher learning in the country of seven million Muslim population. “Today, Zaytuna’s accreditation roots this vision in a reality recognized within American higher education,” Hamza Yusuf, president of the college, said in a statement celebrating the announcement and cited by Thinking Progress on Tuesday, March 11. Yusuf’s statement followed the declaration that Zaytuna College, a liberal-arts school based in Berkeley, California, was formally accredited by the Western Association of Schools and Colleges (WASC). The WASC is one of six official academic bodies responsible for the authorizing public and private colleges and universities in the United States. 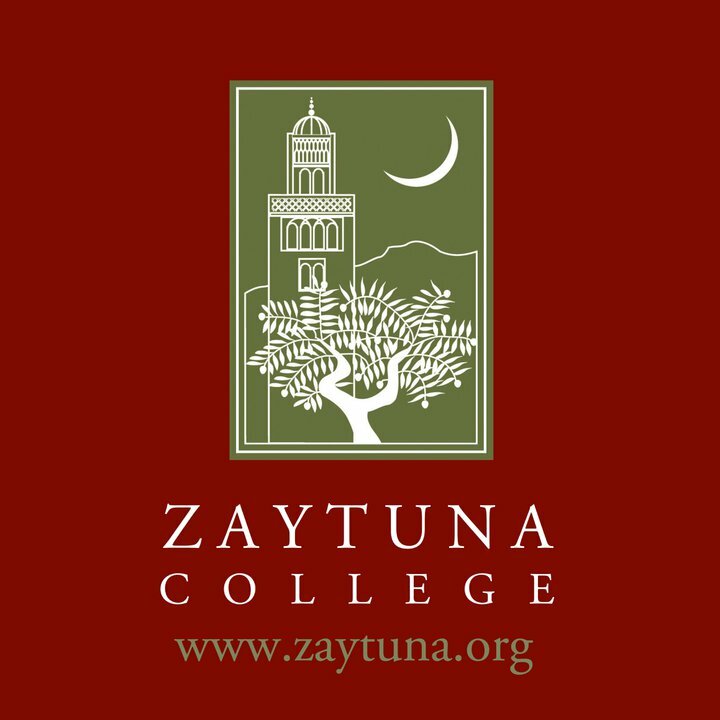 Zaytuna College, a brainchild of Imam Shakir, Sheikh Hamza Yusuf and Professor Hatem Bazian, stems its name from the Arabic word “olive”. It opened doors to first students in its rented space in a Baptist seminary in Berkeley in August, 2010. It offers two majors; Arabic language and Islamic law and theology. Zaytuna College earned its reputation as a great educational institute, being compared to great Catholic colleges, such as Georgetown or Notre Dame. Being a Muslim school with a quasi-”great books” curriculum, it was compared to Harvard College, circa 1850 — but instead of the Bible, Greek and Latin, and Plato, it’s the Qur’an, Arabic and Plato. The college administrators said they hope their success leads to greater acceptance of their style of Islamic education and Muslims at large. “[Accreditation] gives our community its first accredited academic address in the United States,” Yusuf said. 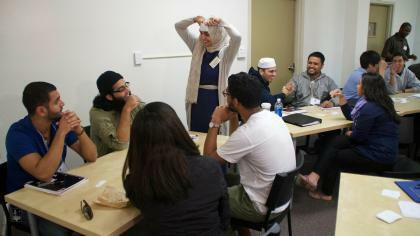 A 2013 survey found that American Muslims are the most moderate around the world. 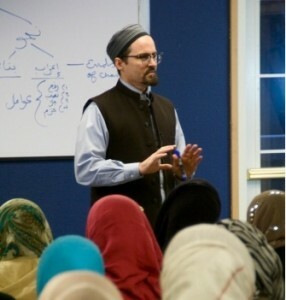 OTTAWA — The Islamic centre in Saskatoon is experiencing growing pains. Friday services have been split into two, so local streets aren’t clogged with traffic. City officials and nearby residents are working with the centre to answer questions such as: where to put more parking? “We have been experiencing this kind of steady increase for a while,” said Amin Elshorbagy, president of the Canadian Islamic Congress and a Saskatoon resident. Statistics released Wednesday confirm what can already be seen: more mosques with busier prayer services and the increasing prevalence of women dressed in hijabs and niqabs in all walks of life. Islam is the fastest-growing religious group in the country. Across Canada, the Muslim population is growing at a rate exceeding other religions, according to Statistics Canada. It is even growing faster than the number of Canadians who identify themselves as having no religion, though just barely, according to the National Household Survey released Wednesday. The Muslim population exceeded the one-million mark in 2011, according to the survey, almost doubling its population for the second-consecutive decade. Muslims now represent 3.2 per cent of the country’s total population, up from the two per cent recorded in 2001. The majority of growth in the Muslim population is the result of immigration, as it is with Sikhs, Hindus and Buddhists, with the largest share coming from Pakistan over the past five years, according to Statistics Canada. Muslims are also the youngest religious group in the country with a median age of about 28 years old. The growth of the Muslim population is part of a larger trend: minority religious groups becoming a larger slice of the Canadian cultural mosaic, although Christian religions still dominate with almost 70 per cent of the population. That raises questions of accommodation and integration of a religion that experts say is often unfairly viewed through a lens of fear. One-on-one, non-Muslims can have favourable views of their Islamic colleagues, but that feeling doesn’t always extend to the wider Muslim population, said Pamela Dickey Young, a professor of religion and culture at Queen’s University. “It isn’t like Canadian Muslims have not tried to educate the Canadian populace … but for some reason there’s still that edge with it that some Canadians have problems getting over,” Dickey Young said. The survey results should be taken with caution. Experts say the voluntary nature of the National Household Survey, which replaced the mandatory long-form census, leaves some gaps in the data from groups that tend not to respond to such surveys, such as new immigrants. Experts believe the data provide a fairly good, broad picture of Canada, but data on smaller groups may provide less reliable information. “People keep blocking us into one cohesive mass and we’re not that at all,” said said Alia Hogben, executive director of the Canadian Council of Muslim Women. That internal debate in the Muslim community gets sidetracked because of the backdrop of violence done in the name of religion, which Canadian Muslims regularly and quickly condemn. “It is an additional pressure and a big one on the Muslim community,” Elshorbagy said.